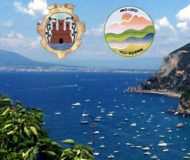 For those fond of adventures, excursions and trekking trails, the “Pro Loco” in Vico Equense has organized, for 2011, pleasant itineraries capable of showing you a great time. Nature, gastronomy and adventure are only some of the phases that characterize the itinerary starting on July 30th from 8:30 to 1:00 pm at the rural building of Moiano, where you can visit the production of local cheeses. The day will then continue with further excursions, bringing guests all the way up to Mt. Faito. Arrival is expected at the sanctuary of San Michele and, furthermore, in the same area you can visit the holy water caves, then stop at the Hotel Sant’Angelo, to finally get some dedicated time off to relax and unwind while tasting local delicacies. Prices are extremely convenient, the itinerary for residents only costs 6 euros, for non residents the price is only 13 euros. A chance not to miss out on to spend some quality time, in contact with nature and the most genuine flavors of the Mediterranean. Description: An event dedicated to the adventure, excursions and trekking lovers. It's called "Knowing Vico Equense - Itineraries" and it is sponsored by the "Pro Loco" of the area that promotes and spreads the values ​​tourist, social, cultural and sporting city.